The website offers free international shipping. With their eWards reward system, you will be able to earn a number of points for each rental (a dollar for every 3 points). Once you get enough of those points, you can trade them for a $20 discount off future rentals. The website is somewhat clunky and poorly planned. eCampus will prove to be one of the better textbook rental options for college and university students on somewhat of a tight budget who could really use the number of rental length options. It'll also prove to be a solid choice for visual learners. 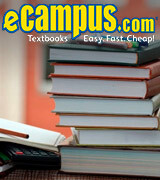 Bookbyte has a page that features some of the best ways to acquire cheap textbooks. 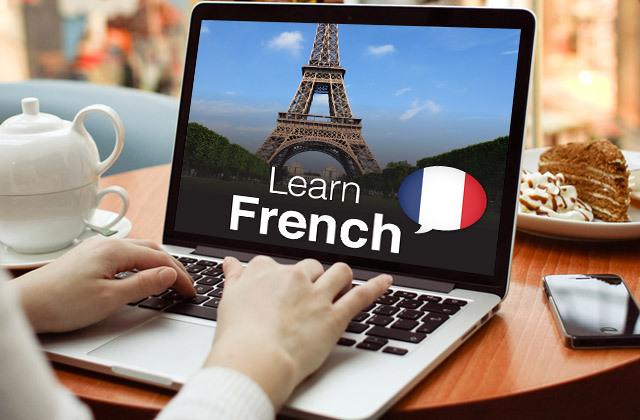 The page consists of a number of useful tips, like buying the previous version of the book or looking for international editions that often go for a fraction of the US cost. Doesn't offer access to e-books. 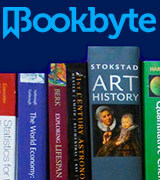 Bookbyte is a great textbook rental platform for a number of different reasons. But, for the most part, it is the large selection of rental terms and the minuscule requirements for free shipping that make this online platform stand out from the rest of the competition. This textbook rental platform offers far more leeway when it comes to highlighting and writing notes. 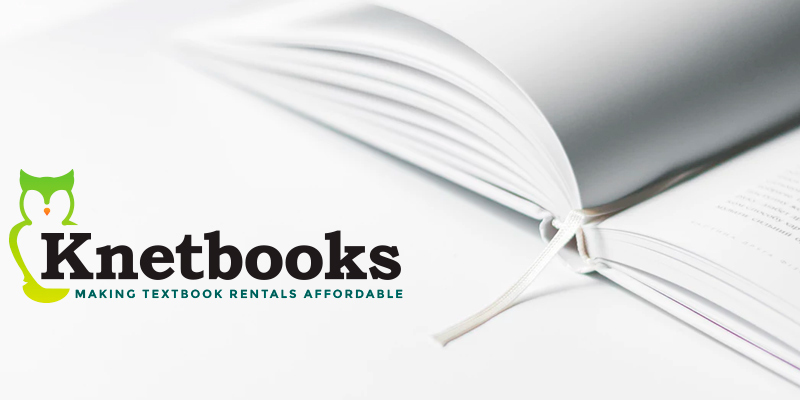 The company provides their customers with a variety of rental terms not just for the hard copies but also for electronic textbooks. You can acquire lifetime access to the digital version of the book. The company doesn't cover the shipping cost. 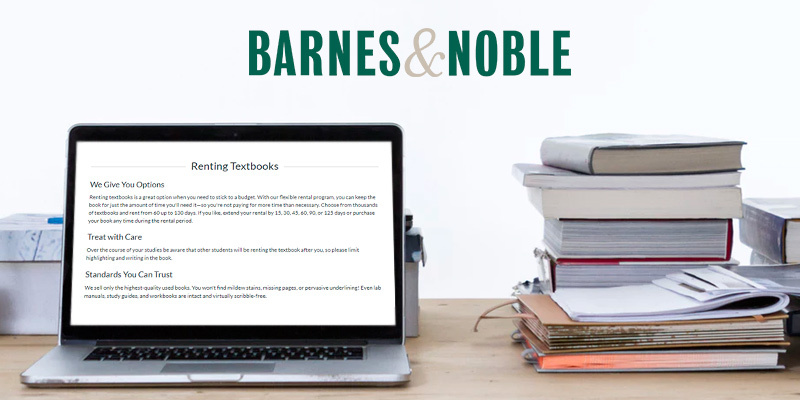 If you're taking some sort of an advanced course or you're studying anything out of the ordinary, Barnes & Noble might be your only choice when it comes to renting school books. And if you aren't, the company still has plenty to offer with flexible extension options and highlighting freedom. 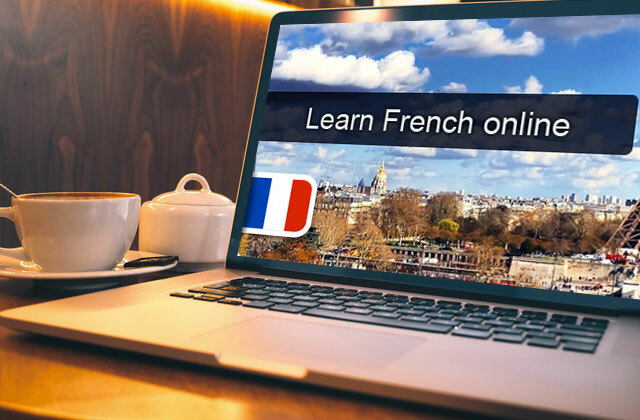 With over 90,000 textbooks in stores, the company covers a great variety of different courses, so you should be able to find what you're looking for. 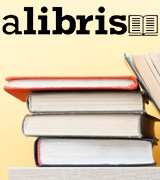 Alibris guarantees a week-long grace period. You can return the book throughout the first 21 days and receive 100% refund. 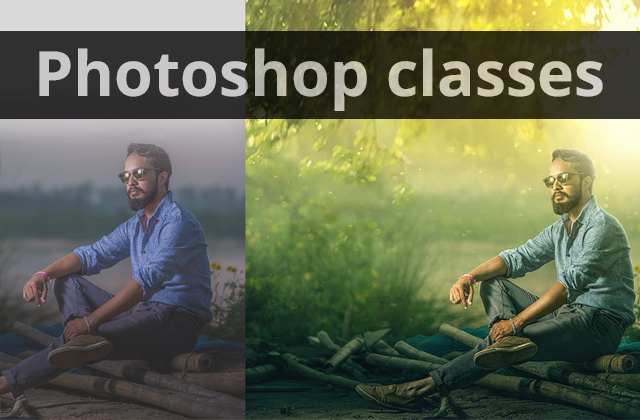 A number of images are missing from the website. There is a lot to like about Alibris. The company offers a considerable selection of textbooks for a great variety of different courses. They're also one of the more affordable options on the market. 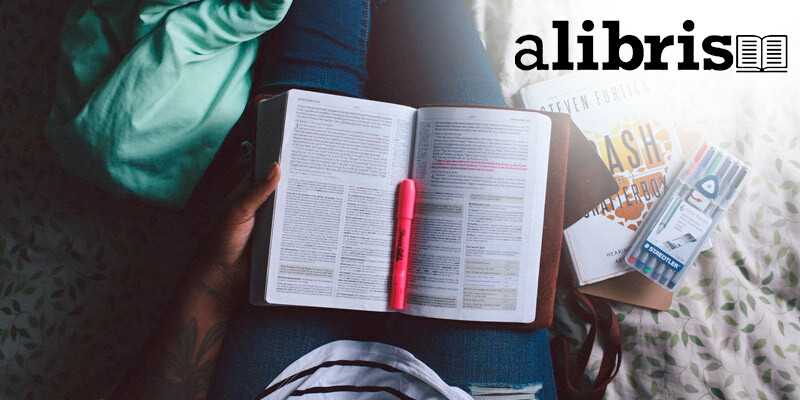 Website issues aside, Alibris is a convenient one-stop shop for your textbook rental needs. The platform will allow you to sell your old textbooks. In addition to the standard phone and email support, the company has convenient Facebook and Twitter accounts where you can talk to their representatives. They also offer a lot of freedom in terms of rent extension. The FAQ section of the site is a bit of a mess. 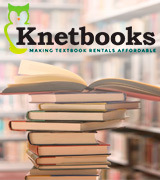 Knetbooks is one of the best textbook rental platforms as far as the question of customer service is concerned. 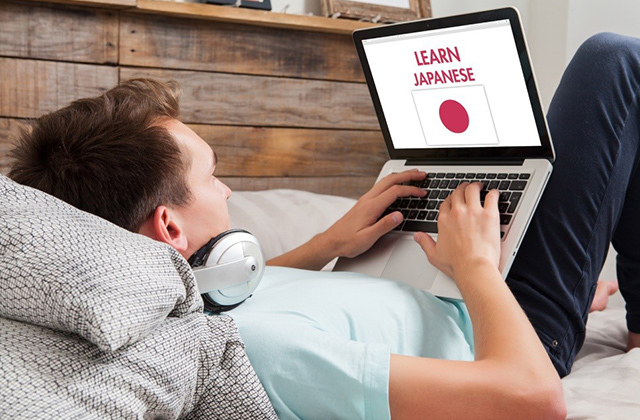 The company also provides access to digital textbooks. Their return program is quite generous when it comes to the money-back policy but is a bit stingy in terms of the late fees. 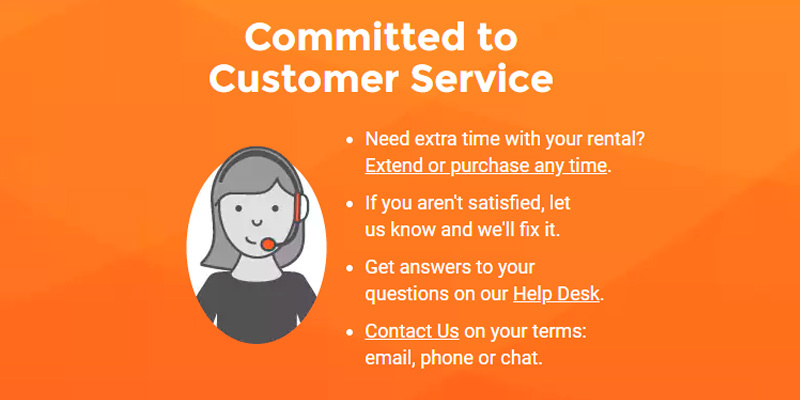 Despite the fact that eCampus isn't necessarily one of those book rental sites that have been in this business for a very long time, the company has already managed to make quite a name for themselves and establish their service as one of the most attractive and reliable options on the market. Their "Easy. Fast. Cheap!" slogan really tells you just about everything you need to know about the company but we reckon it still wouldn't hurt to elaborate on each of those subjects. The "easy" part mostly stems from a great number of rental options. With eCampus, you will be able to choose from short-term, quarter- or semester-long rentals. So, if you only need a certain textbook for a short period of time in order to get yourself prepared for an exam or if you're taking some sort of a summer course, you'll have the ability to choose the short-term option and save a decent amount of money. Plus, if you're not satisfied with the textbook for any reason whatsoever, you can return it within 25 days of your order without any additional fees. Before moving to the "fast" part, we'd like to say that one of the better things about this textbook rental service is all of the additional content that the company has to offer. For starters, what we have here is one of the very few rental services that provide their customer access to electronic versions of the books. This way, you can order your textbooks and read the e-books while you wait for the real thing to arrive. This is also one of the better companies when it comes to rewarding their loyal customers. With their eWards reward system, you will be able to earn a number of points for each rental (a dollar for every 3 points). 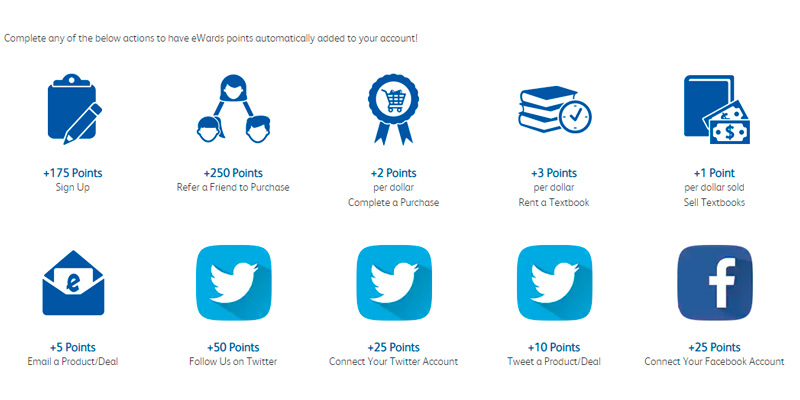 Once you get enough of those points, you can trade them for a $20 discount off future rentals. In order to rent the books, all you need to do is head to their website, choose the book that you need, and add it to the cart. 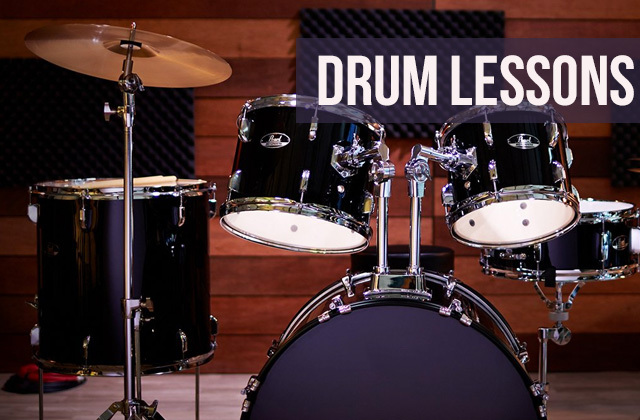 For the most part, it shouldn't take too much of your time, despite the unfortunate fact that the general layout of their website is a bit clunky, so you might run into some issues trying to find the right piece of information. Now, as for the cheap part, as long as you spend more than 59 bucks on the books, the company will not only send them to you for free but will also take care of your shipping costs as you send the books back to them. Plus, the textbook rental service will allow you to track the package digitally, so you will have a pretty good idea when to expect the books. Aside from free shipping, the company's return policy includes a little convenient system that sends you a reminder a few days before the expiration date. But if it just so happens that you'll need the book for a longer period of time than you initially thought, all it takes is a small additional fee to extend your rental for 15, 30, 60, 90 or 130 days. Other than that, the list of the company's advantages also includes international shipping. You'll also be able to highlight up to a third of the content. And, not dissimilar to the majority of these services, eCampus can also be used to purchase and sell textbooks. All things considered, eCampus will prove to be one of the better textbook rental options for college and university students on somewhat of a tight budget who could really use the number of rental length options. It'll also prove to be a solid choice for visual learners. Bookbyte isn't necessarily the most popular textbook rental service out there nor is it necessarily the most esteemed one. But the company has been around for quite some time and has managed to accrue a fairly stellar reputation within the field. There are quite a lot of boxes you need to check in order to acquire that kind of reputation, so it's not like there is only one thing that allows the company to compete on this surprisingly competitive market. But if we had to point out its biggest strength, it would have to be the Bookbyte's large selection of rental terms. 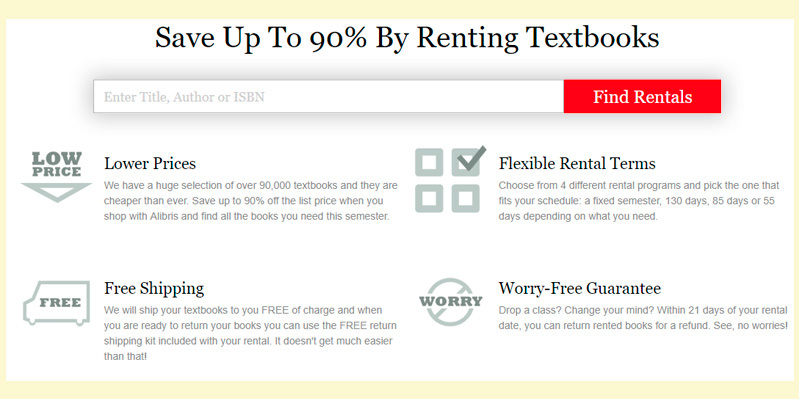 Using their services, you will be able to rent a textbook for 30, 60, or 90 days. And if you feel so inclined, there's even an option to rent a number of books for an entire semester. Of course, you won't always be able to know for how long you will need the book. So, when the due date comes, all you will have to do is pay a small additional fee in order to extend the rental period for 15, 30, or 150 days. This sort of flexibility is just what the doctor ordered if you need a textbook for part of a class or if you're taking a block class that lasts half the term. Similar to a lot of these services that allow their customers to rent books online, the company will send you reminders via email before your textbooks are due back. 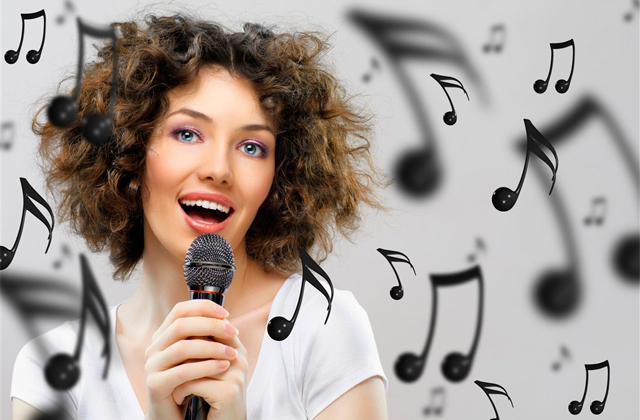 However, unlike the majority of those services, Bookbyte also offers a 7-day grace period. Thanks to their virtue, you won't have to worry about missing the date and not returning the book on time. As long as you do that within the additional 7 days, the company will not charge you any additional fee. Another great thing about Bookbyte is their shipping policy. If your order exceeds the $49 mark, the company will ship the textbooks for free. As some of you may know, shipping costs for heavy items can often go through the roof, so we can't stress enough how much of a money saver the free shipping can be. The books themselves arrive in a cardboard sleeve, so you'll also be able to save on packaging. 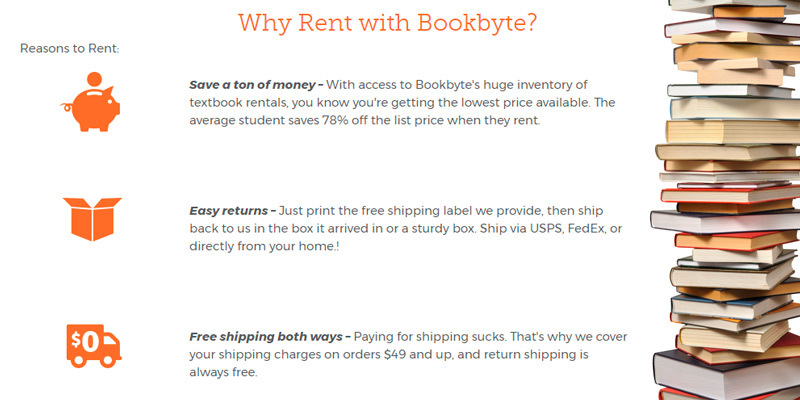 Unfortunately, unlike some of the other college textbook rental sites, Bookbyte do not provide you with printed instructions on how to return the book nor do they send you an additional box for returning the book, so you will have to figure that out on your own or consult their customer support at the website. Most of these online platforms do not just rent the school books but also buy and sell them. Bookbyte is not an exception to this particular rule. If you'd like to sell your books, simply enter the textbook’s title or ISBN and their website will show much company the company is willing to offer for it. If you're satisfied with the price, choose the "Continue Sale" option and follow the instructions. 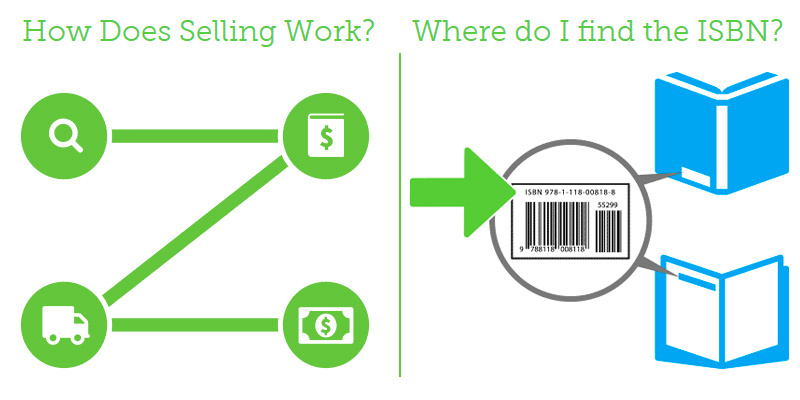 Once they receive the book, the Bookbyte will let you choose from check or PayPal. Of course, like we've said earlier, most of these websites will let you buy and sell textbooks. But what they won't offer you is Bookbyte's page that includes some of the best ways to acquire cheap textbooks. 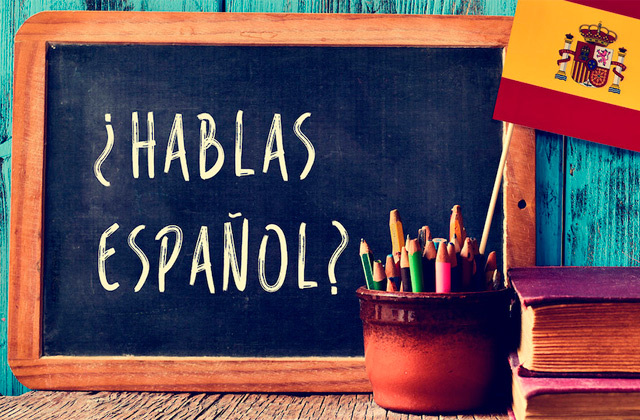 The page consists of a number of useful tips, like buying the previous version of the book or looking for international editions that often go for a fraction of the US cost. The only major downside of Bookbyte is the fact that it doesn't offer their customers access to electronic textbooks, so you will have to make do with the physical copies. Other than that, Bookbyte is a great textbook rental platform for a number of different reasons. But, for the most part, it is the large selection of rental terms and the minuscule requirements for free shipping that make this online platform stand out from the rest of the competition. 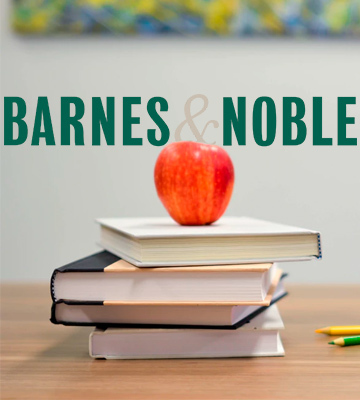 If you were born in the United States of America or, at the very least, if you have spent a few years in the Land Across the Pond, there's next to no chance you're unfamiliar with Barnes & Noble. 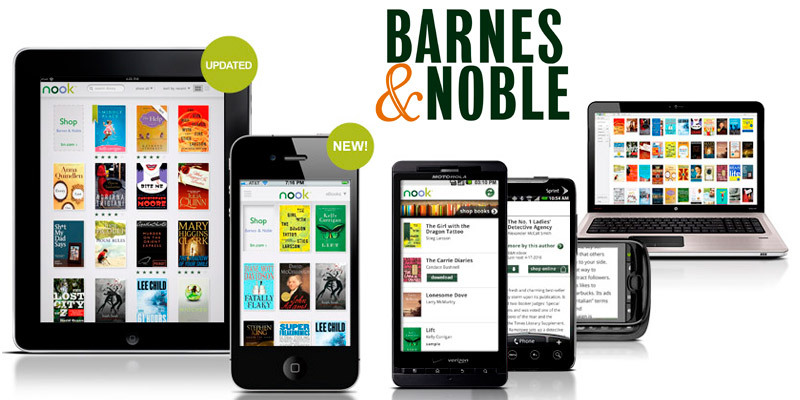 A Fortune 500 company, Barnes & Noble is United States' largest offline book distributor with over 633 retail stores. And even though the company is mostly known for selling new books, the people behind it are no strangers when it comes to the textbook rental business either. Given that Barnes & Noble are by far the biggest brand on the textbook rental market, the quality of their products and services really comes without saying. But what is it exactly the company offers that you wouldn't be able to find on the competitor's websites? Well, for instance, the scope of their business will provide you access to the largest selection of textbooks. The thousands of textbooks that the company offers do not cover just the lower-level courses, but also the majority of upper-level ones. So, whether you need one of the more popular study materials or some obscure textbook for a niche class, Barnes & Noble has you covered. Naturally, the ridiculous selection of school books is by far the company's biggest selling point. But that isn't the only thing that distinguishes them from the rest of the competition. First off, this textbook rental platform offers far more leeway when it comes to highlighting and writing notes. So, as long as you don't go too crazy and start writing memoirs or highlighting entire pages, you'll be fine. But if you do, the company will ask you to reimburse the costs and pay for the book (minus the renting fee). Another thing that distinguishes Barnes & Noble from the majority of these rental services is a lot more freedom in terms of choosing the rental period and extending the said period. 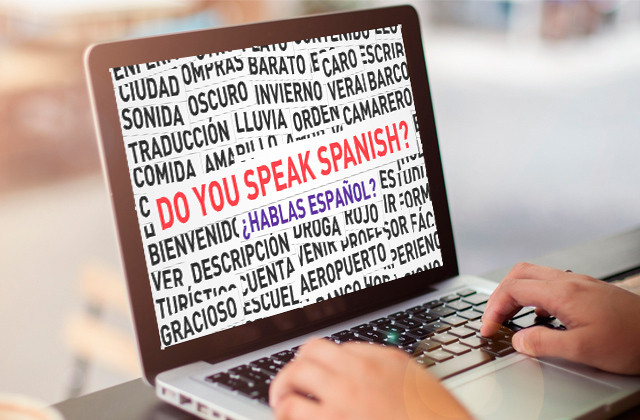 You will have the ability to choose whatever rental term fits your needs, from 60 days to a quarter or a semester. And if you'll need to extend the rent at the end of your rental period, the company will provide you with the opportunity to choose from 15 to 125 days. Though a lot of people still prefer physical copies to their digital counterparts, there's no denying the fact that the future belongs to electronic books. 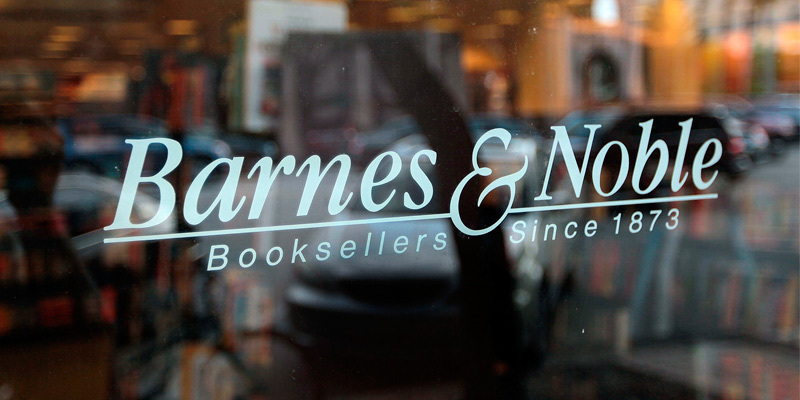 Of course, Barnes & Noble learned that the hard way when Amazon took a lion's share of the bookselling market from them. But the company has managed to successfully to adapt to the new landscape. Nowadays, Barnes & Noble offers their customers a variety of rental terms not just for the hard copies but also for electronic textbooks. And if you don't feel like renting, there's always the option of acquiring lifetime access to the digital version of the book. Whether you're more of a PC and Android guy or you like your smartphones and computers with a nice little apple on it, the digital rentals are perfectly compatible with any of these platforms. 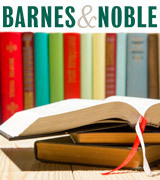 So, if you're taking some sort of an advanced course or you're studying anything out of the ordinary, Barnes & Noble might be your only choice when it comes to renting school books. And if you aren't, the company still has plenty to offer with flexible extension options and highlighting freedom. 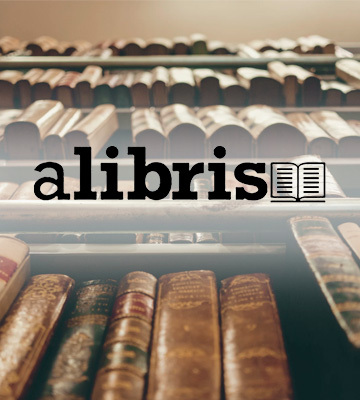 Alibris is one of the newest textbook rental websites out there, so it doesn't necessarily have the notoriety to rival Amazon, Barnes & Noble, eCampus, or some of the other textbook rental services. Nevertheless, what the company lacks in name and credit, they more than make up for it with competitive pricing and a nice selection of textbooks. Of course, they're not exactly Barnes & Noble when it comes to the sheer amount of educational content, but with over 90,000 textbooks, the company covers a great variety of different courses, so there's a pretty good chance you will be able to find what you're looking for. Plus, being a less known brand, Alibris couldn't charge as much for these books as their more established competitors even if they wanted to. So regardless of the rental terms that you choose to go with and the books that you need, you'll probably pay quite a bit less than you would at most other book rental sites. Now, speaking of the rental terms, the company offers a considerable amount of flexibility, with 4 different rental programs to choose from. In order to fit your schedule, you can go with the 55-day plan or pay for 85, 130, or a fixed semester. Unfortunately, we were unable to find out whether the people behind this service offer rent extensions and, if they do, what are the terms of those extensions. That said, with the company's flexible rental programs, you should be able to make the right choice without having to extend the program afterward. But if you drop a class or change your mind within the first 21 days of your rental period, simply send the book back and the company will provide you with a 100% refund. Furthermore, the company offers a week-long grace period, meaning that you won't have to pay an additional fee if you return the textbooks in the 7-day period after the due date. Generally speaking, one of the bigger problems with renting textbooks instead of buying them is that a lot of people are more of visual learners, often having a hard time trying to memorize the material without any visual clues. Fortunately, Alibris allows both highlighting and writing, as long as you leave the book in the sort of condition that will allow the next student to use it after you. Of course, every textbook rental site has its flaws and, with the service in question, it is the lack of e-books and the website's layout. Sadly, nothing can really be done about the former, so if you prefer the digital version to the paperback and the hardcover ones, this isn't necessarily the service for you. As for the website, we feel that it could use some improvement in terms of the layout since it can often be difficult to locate the book that you need and the occasional absence of images doesn't really help either. In conclusion, there is a lot to like about Alibris. 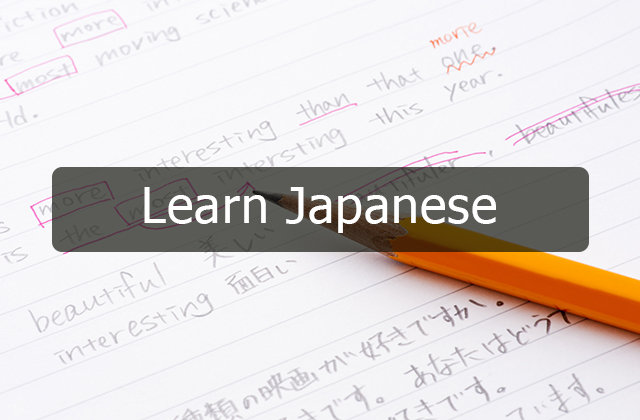 The company offers a considerable selection of textbooks for a great variety of different courses. They're also one of the more affordable options on the market. 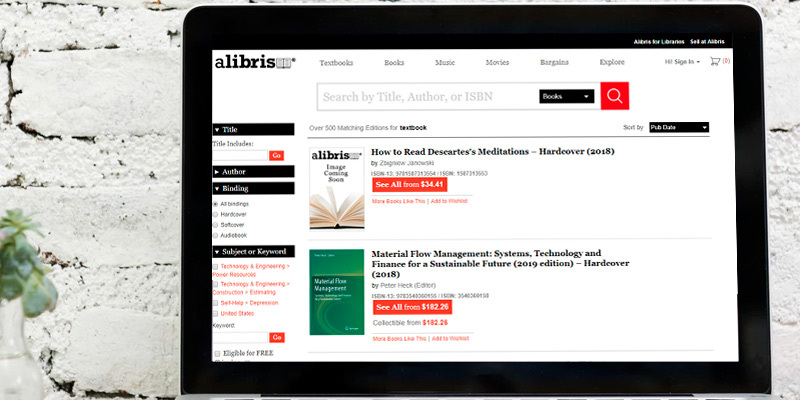 Website issues aside, Alibris is a convenient one-stop shop for your textbook rental needs. 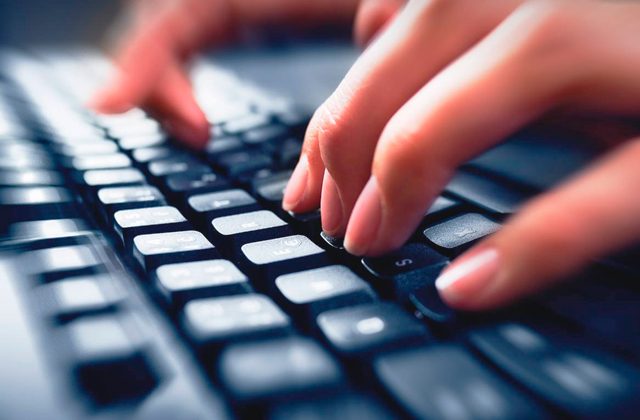 Knetbooks is one of the more polarizing services out there that has left us with sort of mixed feelings. On one hand, this is a great textbook rental service for a lot of different reasons, and we will get to those reasons in a moment. But on the other, the company's platform has a couple of issues that prevent their product from scoring higher on the proverbial list. But first with the positives. Shipping heavy items such as books can be expensive and if you're renting textbooks in the first place, there's a good chance that you don't have that much money to spare. Fortunately, the company has you covered with free shipping both ways. 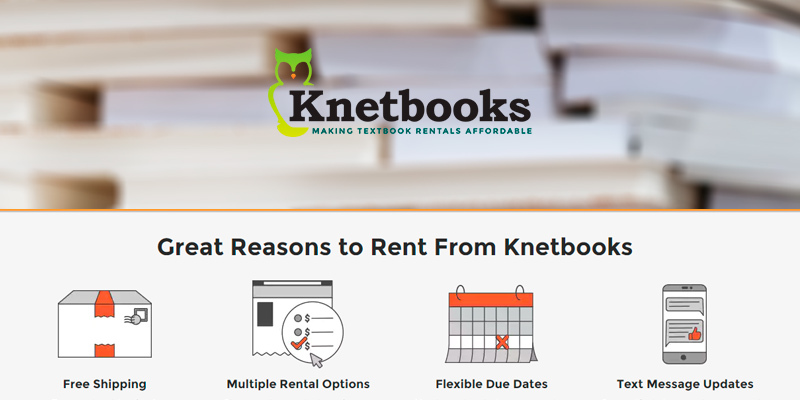 You won't have to pay for shipping when you order the textbooks and Knetbooks will cover the cost of the shipping for you when it is time to return those books. Furthermore, plenty of textbook rental services will allow you to buy, and, of course, rent those textbooks. But not a whole lot of them will allow you to sell your own textbooks. This way, you will be able to get rid of the books that you don't need anymore and make some extra money to rent the books that you do need. 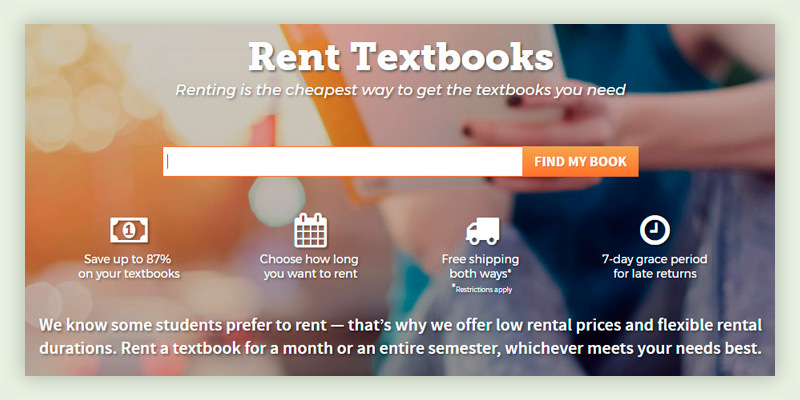 A lot of companies seem to forget that a textbook rental service is, well, a service. And any other is only as good as the way it treats its customers. 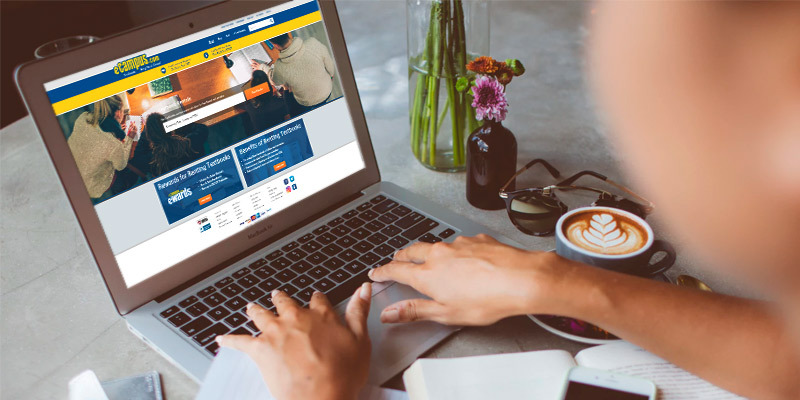 And though Knetbooks doesn't have much of an online presence compared to Amazon and other giants, their website offers a great number of customer interaction options for you to choose from. In addition to the standard phone and email support, the company has convenient Facebook and Twitter accounts where you can talk to their representatives. They also have a very comprehensive FAQ section that outlines their terms and conditions and addresses the majority of frequent concerns. That said, the section is a bit of a mess due to the sheer number of answers and questions, and could certainly use some improvement in the editing department. But the website itself doesn't really leave a lot to be desired. The search function is quite good and all of the most common categories have been conveniently placed on top of the homepage, so you shouldn't have any issues navigating their website. If you're one of those students who prefer the highlighting approach, Knetbooks has you covered. 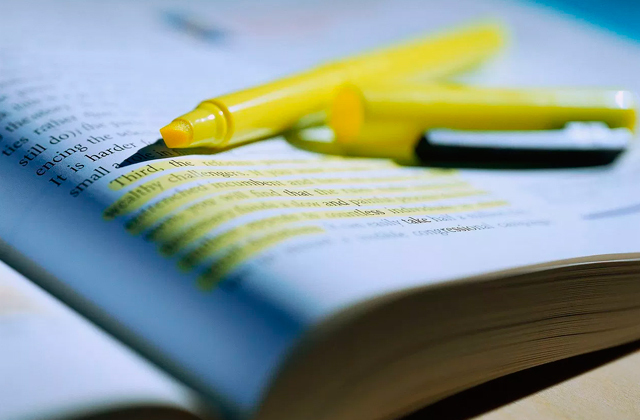 As long as you do not highlight more than a third of the book's content or scribble too much on the margins, the company will not charge you any additional fee. 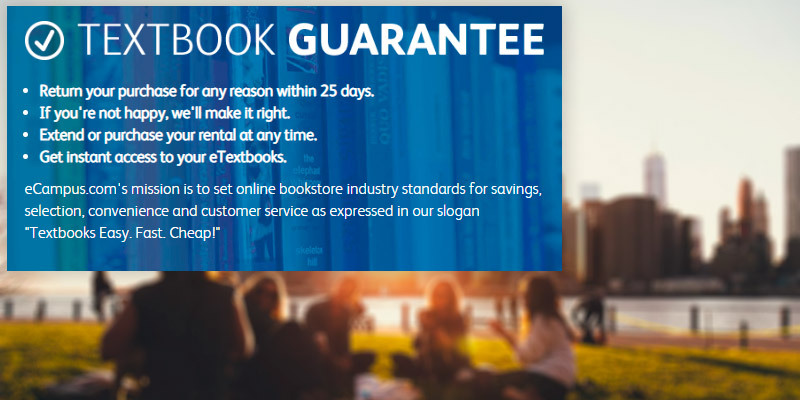 Their money-back policy is solid as well, providing you with the opportunity to receive a full refund if you send the textbook back within a 25-day period. When it comes to the question of rent extension, the service isn't the one to disappoint either, offering their customers the ability to extend the rental period from 15 to 130 days. So, what is it exactly about Knetbooks that left us with mixed feelings? Well, most of all, the company has one of the stringiest return policies. There's no grace period and if they do not receive the book on time, the company might charge you from half to a full price of the book. Plus, they keep changing their rental period options and, at the time, the folk at Knetbooks will only let you choose from 58, 79, and 93 days options, with the latter being a bit shorter than the length of the entire semester including the finals. 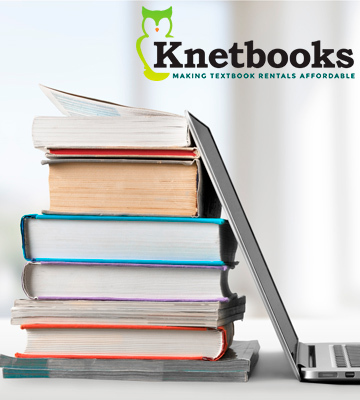 Bottom line, Knetbooks is one of the best textbook rental platforms as far as the question of customer service is concerned. The company also provides access to digital textbooks. Their return program is quite generous when it comes to the money-back policy but is a bit stingy in terms of the late fees. What Is a Textbook Rental? The United States is home to some of the best educational institutions in the world. Regardless of who is doing the ranking, it is always the US-based institutions that occupy at least half of the spots in the lists of top ten universities. That said, the educational system itself is far from flawless. It isn't really a secret to anyone that a few years in college might cost you an arm and a leg. Which is precisely why textbook rental services exist in the first place. Though there are quite a lot of differences between these services, any one of these companies will allow you to save up to 50% on textbooks. On top of that, some of those services will provide you with the opportunity to annotate or highlight rental books without charging any additional fees. Speaking of which, you should always make sure to check whether the company charges any additional or seemingly hidden fees for damaging the books or returning them late. Other than that, take into consideration the cost of shipping, the service's rental options, and whether or not they offer access to electronic textbooks and you should be able to make the right choice. Now, if you already have your bachelor's degree and would like to transform it into master's or doctoral, we would recommend our review of GRE prep courses. 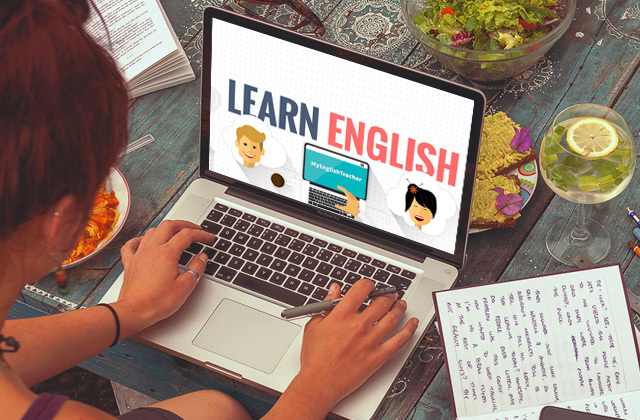 And if you're an international student looking to enroll in one of the US universities, you could probably find some use for one of these online English courses.